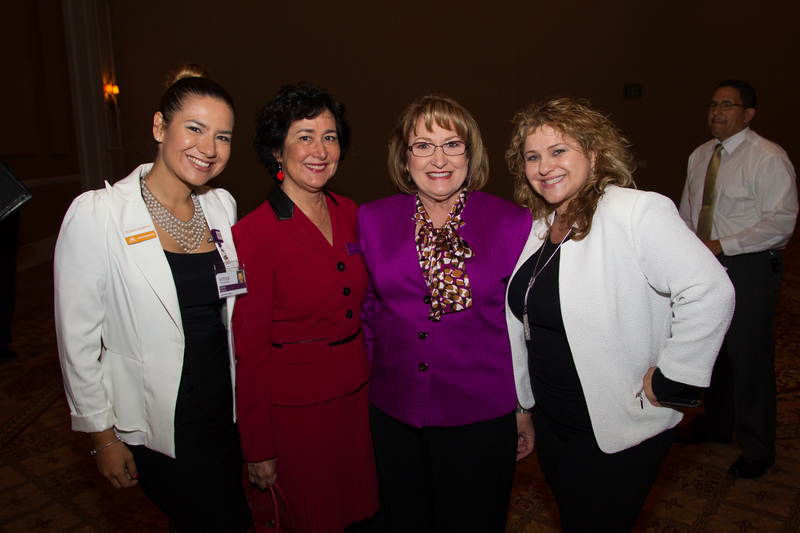 Orange County Mayor Teresa Jacobs recently joined 600 Orlando locals and leaders at the Annual Installation Luncheon for the Hispanic Chamber of Commerce of Metro Orlando (HCCMO). The annual event, hosted at the Rosen Shingle Creek Resort, recognizes the dedication and accomplishments of the current HCCMO board, while also welcoming the new board of directors. Maria Garcia, the vice president of HCCMO, explained the impact of HCCMO in Orange County. Mayor Jacobs expressed her support toward the Hispanic community in Florida, and the success it has brought the County. As the region’s population continues to spike, so does the diversity of the community. As of 2011, one out of five businesses in the Orlando area is Hispanic-owned and 29 percent of Orange County’s population is of Hispanic heritage. In 2012, the United States Hispanic Chamber of Commerce recognized HCCMO with the “Hispanic Chamber of the Year Award” in their category. HCCMO has a mission to “provide leadership and support the economic development of the Hispanic business community of Metro Orlando” according to their website, and is currently the largest chamber in Central Florida. Orange County continues to support its Hispanic community with the Hispanic Heritage Committee of Greater Orange County. The committee was founded in 1999 with the purpose of providing opportunities that promote and highlight the contributions made by individuals of Hispanic descent in the community. The County is a longtime supporter of HCCMO’s mission, which is to provide leadership and to support the economic development of Hispanic businesses and entrepreneurs in Central Florida. In September, Mayor Jacobs joined community leaders at the Hispanic Business Initiative Fund’s (HBIF) 11th Annual Success Stories Luncheon in support of Hispanic entrepreneurs throughout Central Florida. The event honors and recognizes Hispanic entrepreneurs who have started or expanded a business with assistance from the HBIF, Florida’s leading Hispanic economic development organization. Photos from the Annual Installation Luncheon may be found on Flickr for use by the media.